Republican protestors rallied on Friday outside the Broward County Supervisor of Elections office. Fueled by Gov. Rick Scott’s recent lawsuit against Broward elections supervisor Brenda Snipes, the raucous protestors called for more transparency of the county’s vote-counting process. And they echoed Scott’s recent claims—without evidence—that Snipes is trying to steal the election for Democrats. “Because the Broward supervisor of elections won’t give us the records that are required to be produced by law, we’re unable to have any confidence in this election,” said Republican Rep. Matt Gaetz of Florida who was at the rally. The protest came hours after Scott sued Snipes for allegedly refusing to release details about voter tabulations. He also sued Palm Beach supervisor Susan Bucher for impeding the processing of absentee ballots. In a circuit court hearing on Friday, a Broward County judge said Snipes violated public records laws by not turning over records requested by Scott’s senate campaign. The judge ordered the Broward supervisor to release the number of all ballots cast during the election. As of Friday afternoon, Snipes was still reviewing provisional ballots. The elections office has until noon Saturday to send the state Broward’s final election results. The lawsuit and protest highlighted what’s become a bitter controversy that’s left the governor, senate and agriculture commissioner races in question. 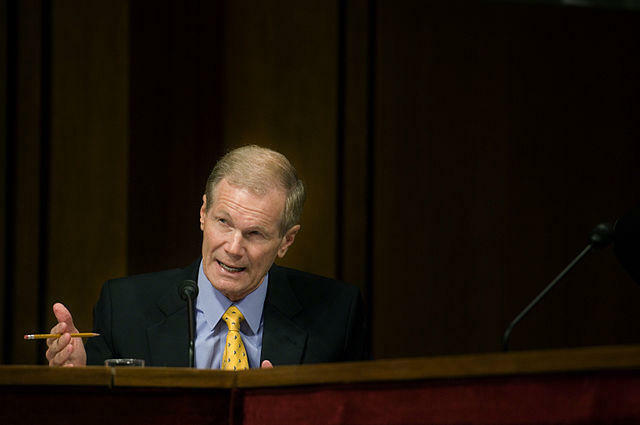 As votes continue to be counted, Scott’s lead against Sen. Bill Nelson has declined to a few thousand votes. Democrat Andrew Gillum has also gained ground on Republican Ron DeSantis in the governor's race. In the bid for Agriculture Commissioner, Democrat Nikki Fried took the lead Thursday over Matt Caldwell, who initially led the race after Election Day. All three races are headed for recounts. On Friday, protestors like Mary Arnoni expressed shock that the races have grown tighter. They said they’re concerned that the Republican candidates could potentially lose the elections. They also repeatedly cited legal issues surrounding Snipes, a Democrat, from other elections. During the August primary, thousands of vote-by-mail ballots were found to be uncounted a day after the election. In May a judge also ruled that she violated state and federal laws by destroying ballots from a congressional race. Snipes has said the delay in vote-counting stems from Broward County’s size and the extra length of its ballots this year. 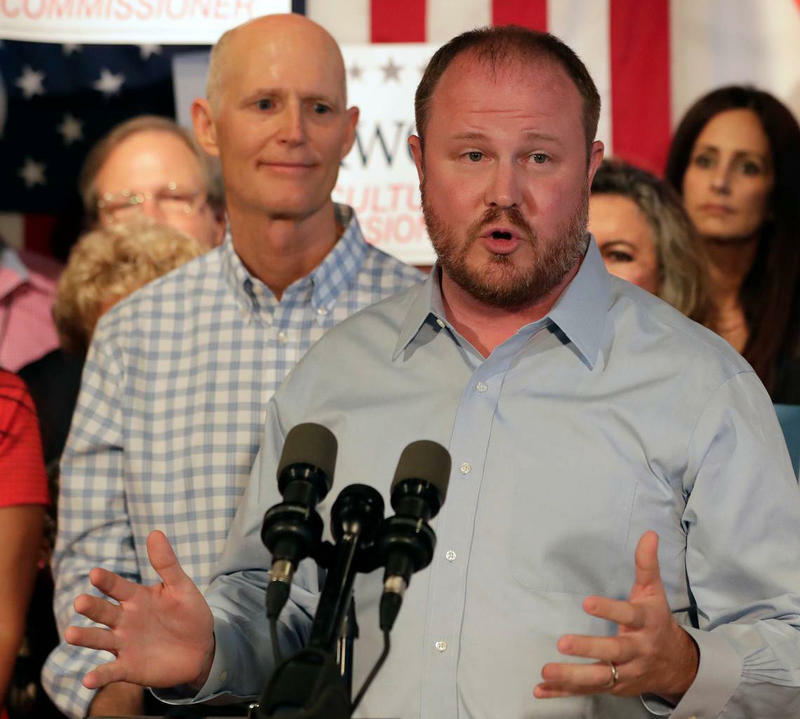 Matt Caldwell, the Republican candidate for agriculture commissioner, and his campaign filed a lawsuit Friday against Broward County Supervisor of Elections Brenda Snipes that calls for the rejection of all vote-by-mail ballots received at the elections office after 7 p.m. Tuesday. The lawsuit, filed in Broward County circuit court, said Snipes hasn’t released numbers of ballots that came in after the deadline and asks the court to determine if Snipes illegally included ballots after polls closed Tuesday. It may be more than a week until clear winners emerge in several statewide elections in Florida, including the race for U.S. Senator and Governor. Ballots are still being counted in Broward and Palm Beach Counties, and the supervisors of elections there have until noon Saturday to submit final results to the secretary of state. 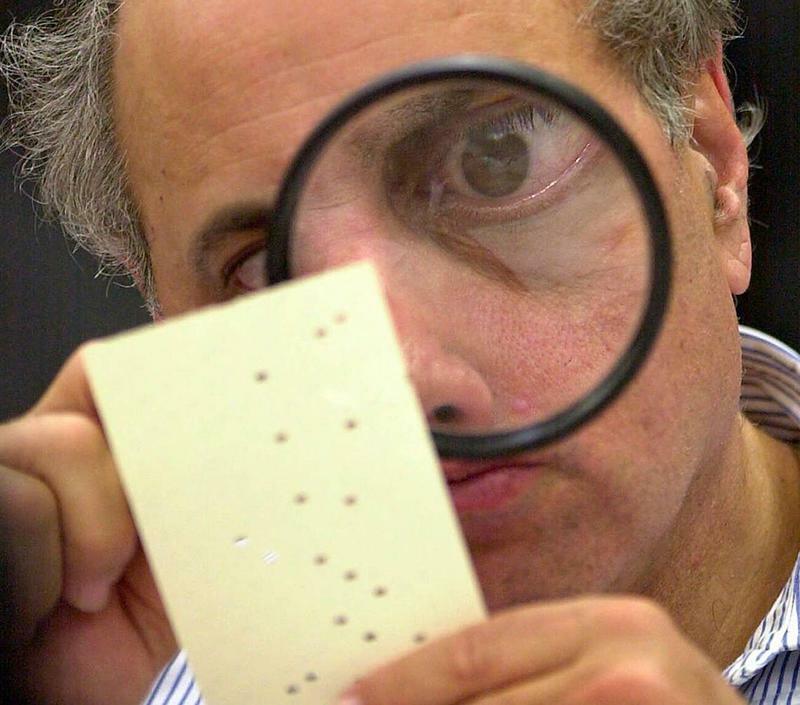 Less than .5% separates the candidates in both races, which automatically triggers a machine recount under Florida law. If the margin of victory is 0.25% of below, the recount will be by hand.